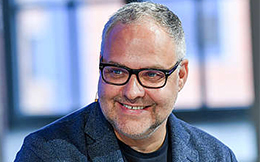 As Executive Vice President of Wirecard Labs and Value Added Services at Wirecard AG since 2013, Jörn is globally recognized for digital transformation in Payment. He envisioned and now heads the prosperous Value Added Services and Wirecard Labs. His key responsibilities are developments in the field of digitalization of retail and in developing innovative solutions for mobile payments with partners and clients, e.g. Alipay, Wechat Pay, Berjaya, ÖBB, O2, Orange, Vodafone, Printemps, The Bodyshop and Deutsche Telekom. With his deep knowledge, experience, access to global networks and a strong affinity to spotting trends, Jörn Leogrande is confident and dynamic on all big stages around the world, invigorating the crowd while sharing future trends in payment, digitalization of retail, customer satisfaction and value added services to make tomorrows journey of payment happens today for all of us.